Hey PlayStation fans. Resident Evil 7 biohazard brings its terrifying horror experience to Gamescom in Cologne, Germany, this week. If you didn’t catch the original announcement, you can also experience the horror at home with the Beginning Hour demo, available now for PS Plus members! Resident Evil 7 biohazard takes place in Dulvey, Louisiana, where something’s amiss. Nobody’s heard from Jack or Marguerite Baker in ages, with rumors flying about what may have happened to them. At the end of Beginning Hour, you see a tagline that reads “Meet the Family,” and in that demo, you get a glimpse at the supposedly missing Jack Baker. We now have new video and screenshots that introduce more mysterious characters and offer a closer look into the terrifying plantation grounds from the upcoming survival horror game. If you played Beginning Hour, you encountered one of these found footage type segments where you were introduced to the “Sewer Gators” film crew and witnessed their grisly fate. This time, you’ll get a sneak peek at content from a tape labelled “Mia,” and you’ll get to see some other areas of the house that you saw in Beginning Hour and characters within — including Marguerite. Who is the young woman in the videotape? What does Marguerite want with her, and will she escape? While the young woman may be the focus of this particular found footage video tape segment, you won’t be playing as her in the main game. 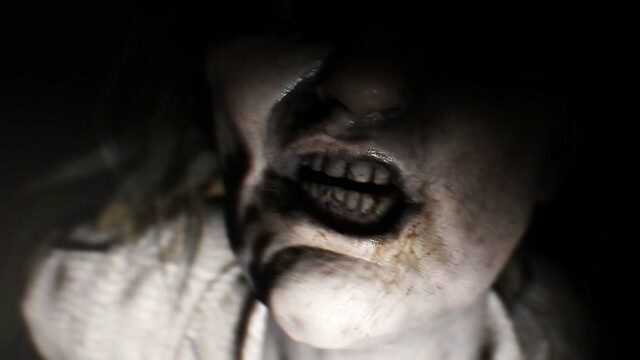 You’ll have to wait a little longer to find out more about the other characters and what happens in Resident Evil 7! Evil comes home January 24, 2017, on PS4. Looks great!. I bet it’s going to be even better with PSVR. Keep bringing the horror games Sony!!!! Especially for VR! Thanks! 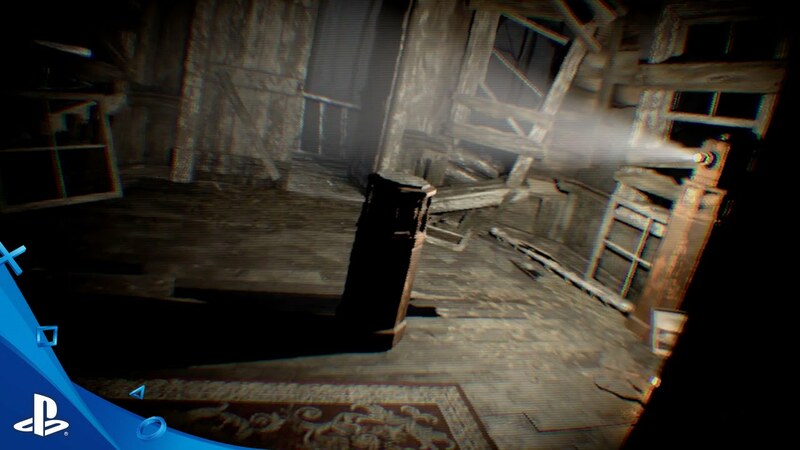 The game will be fully playable in PlayStation VR mode, so you’ll be in for some truly immersive scares come January! This raise a lot of interesting questions, but for now it’s good to see how Marguerite is doing. Besides all the controversial feedback, i’m having fun with this type of mistery, and i hope that the major part of the game remains nebulous until the official launch. Good one Capcom! Where can I see the screenshots? The Flickr page says it’s private as of this post. For a game that claims to be Resident Evil there sure aren’t a lot of zombies. I see that as a good thing. Killing 500 in the first 5 minutes really isn’t Resident Evil to me. Technically there hasn’t been any zombies since RE4. And the hide-and-seek thing isn’t Resident Evil to me neither. What a lovely trailer to wake up to in the morning. Really can’t wait for this game, this game alone wants me get PlayStation VR. Really looking forward to this game. Not sure how much my heart can take playing it in PSVR, though but I am going to try! And I am curious how a End of Jan release date does. Mostly we see, if it isn’t November, it is February. a bit disappointed that absolutely no characters from previous games in the resident evil franchise will appear in this. they couldve kept the game exactly the same and not have to sacrifice any more from the re universe than they already have. you might as well call this any generic zombie game if it werent for the inclusion of green herbs in the game. Certainly interesting, though i wonder if this will be more like Outlast going from the gameplay here or will there be more interaction? Just wondering. To the people complaining there’s no Leon and the rest of the characters that have been in every game, let it go. The franchise needs fresh faces without the old one popping up and taking the attention away from the main cast. So im hoping this is some sort of reset. It can be in the same universe or whatever but good on reset. I’ll be on PSVR day 1. Still holding out for some more familiar Resident Evil Universe items. I loved resident evil games because they had 3rd person view and most zombie games are 1st person which I hate and makes me dizzy after an hour. I hope they have first person and third person view like fallout 4 which would be fantastic for players that want to stick to the old resident evil view and optional if they want to try first person. Besides that there’s a lack of zombies. It looks awesome. The demo was very interesting to play. I would love to play RE with PS VR; in fact I already made the pre-order. BUT, I always play RE with my girldfriend, who is also a big fan of the saga. It will be possible to play with two VR devices???? You people would whine whatever they would do anyway. So im happy to have something new at last. It looks really good. Anticipated as fudge!